Sara and Zach met in high school. When Sara and I first spoke, she told me they had been together for 9 years and she and her friends joked about how their hashtag should be “at last”. Sara envisioned lush, white flowers with lots of greenery and hints of dusty blue. 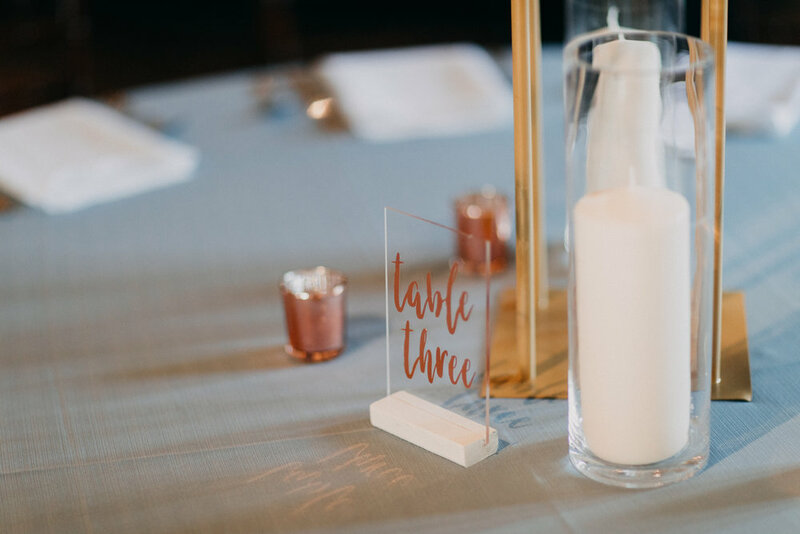 We wanted to include some modern accents in there, so we chose to upgrade the head table chairs to ghost chairs, used watercolor accents on the cake and invitations and clear glass chargers. Her Hayley Paige dress had full sleeves with the most beautiful appliquė and Zach’s navy suit complemented the design.